If you’re having trouble converting website visitors into subscribers, this article is for you. 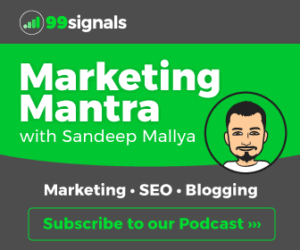 For most bloggers and publishers, an email list is the biggest asset they have because it allows them to build deeper relationships with their readers and increase repeat traffic to their site. But here’s the problem: Your email list is going to get smaller every year if you don’t generate new subscribers on a regular basis. According to HubSpot, email marketing lists naturally degrade by about 22.5% every year. So as bloggers, it’s our job to have a strategy in place to constantly add fresh contacts to our email list to make up for the loss. If you’re out of ideas on how to get more email subscribers, here are 5 unique strategies you can use to generate more email subscribers to your blog and double your conversion rates from website visitors. One of the easiest and most effective ways to get more subscribers is to offer content upgrades. A content upgrade is bonus piece of information that complements a piece of content the reader is already interested in. The bonus being offered should be in the context of the post the user is reading and highly valuable. In other words, a content upgrade is a bonus resource you create in order to get the visitor’s email address. For instance, if you’re reading an article on how to make the perfect chicken roast, just reading may not be enough. You’d probably want to watch a video to see how it’s done, so you can follow along with the video. In this scenario, the video is the perfect content upgrade as the bonus resource is in the context of the article as well as highly useful to the visitor’s needs. So how do you go about creating content upgrades? After all, it may take forever to create upgrades to each and every piece of content you’ve created on your blog. For this reason, you should start by creating content upgrades for 3-5 of your most popular articles. 1. Open your Google Analytics dashboard. 2. Go to Behavior -> Site Content -> All Pages. Set the date range at the top to display 3 months’ traffic data. Offer a content upgrade for each of these posts. Here are a few examples of content upgrades you can offer to your visitors. For more content upgrade ideas, check out this list of 28 different types of content upgrades you can create. While creating content upgrades like ebooks and resources is an effective way to grow your email list, people tend to respond better when there’s a sense of competition. 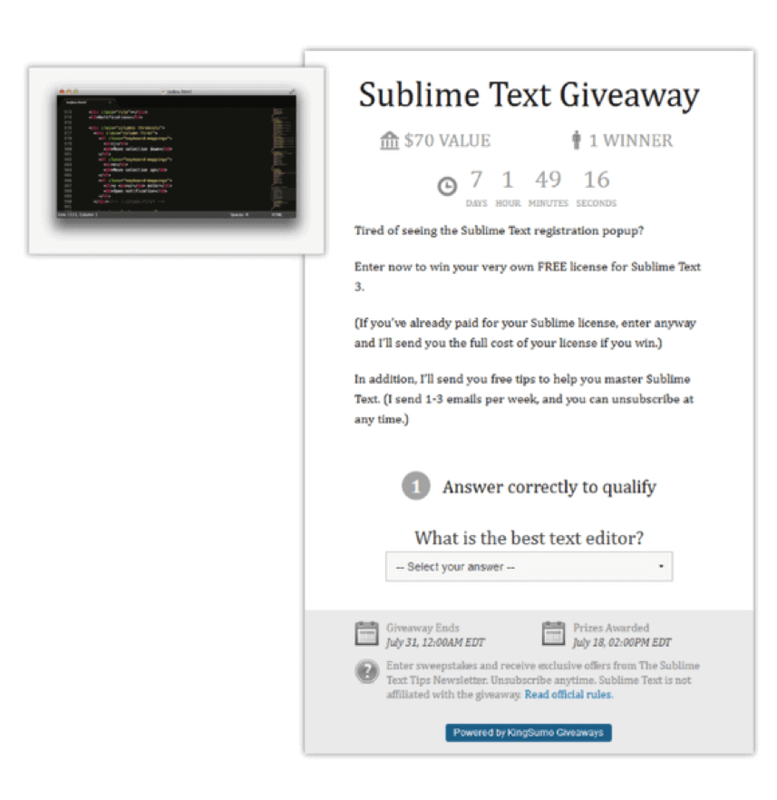 This is where running a giveaway contest on your blog can be of real help. 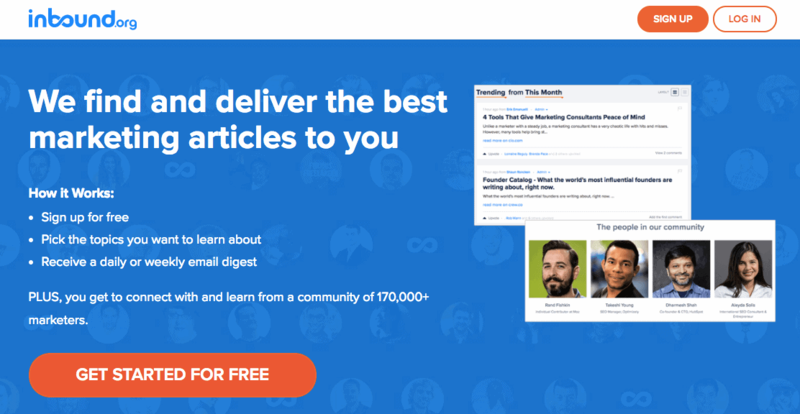 To illustrate just how effective this strategy is, Kissmetrics featured a case study where Josh Earl, freelance writer and programmer, grew his email list by 3,418% (nearly 200k email addresses) in just 11 days. This is perhaps the most important element of running a successful giveaway contest. The prize you choose should be tailored to your audience. If you choose a prize that appeals to a mass audience, then you may end up with lots of irrelevant leads. When perfectly executed, option #4 provides the most value to your visitors. As such, it’s also the most effective in generating the highest number of relevant email addresses. Next, you need to select the right brands to partner with to supply the prizes. 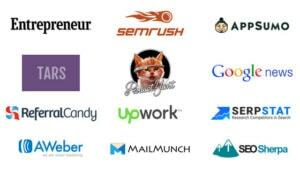 Get started by making a list of 10 well-known brands in your niche. Once the list is ready, reach out to them to see if they’re interested in partnering with your blog for the giveaways. Even if you get response from 3 brands from the list, you can create an awesome giveaway which provides value to your visitors. To execute an effective outreach plan, use any of these outreach tools. My favorite is KingSumo which integrates smoothly with WordPress and is highly user-friendly, allowing you create an awesome giveaway in a matter of seconds. This tool also helps you create a viral loop by encouraging your visitors to share your giveaway, increasing your email subscribers at a rapid pace. Regardless of which niche your site belongs to, there are tons of communities out there where you can share your content and attract relevant visitors to your blog. And if you have an enticing content upgrade to offer, you can convert a large portion of these visitors into subscribers. The key part is to find the right communities to share your content. You could also leverage Facebook groups, Google+ communities, join a Slack community, or even respond to questions related to your niche on Quora. Make sure that you don’t spam these communities with links from your own blog. Most subreddits and online communities will ban you from the group within minutes if you do that. Think of ways you can provide genuine value to the community by sharing not just content from your own blog, but also the top industry blogs or insights from industry influencers. Showcase your expertise by answering tough questions within your niche from time to time and be more than eager to help. Challenge yourself constantly by thinking of new ways to share interesting content. Follow industry trends closely and be the first to report these trends in your group and try to uncover surprising facts about your niche. This will position you as an expert in your niche and will make group members look forward to the content that you share in the community. 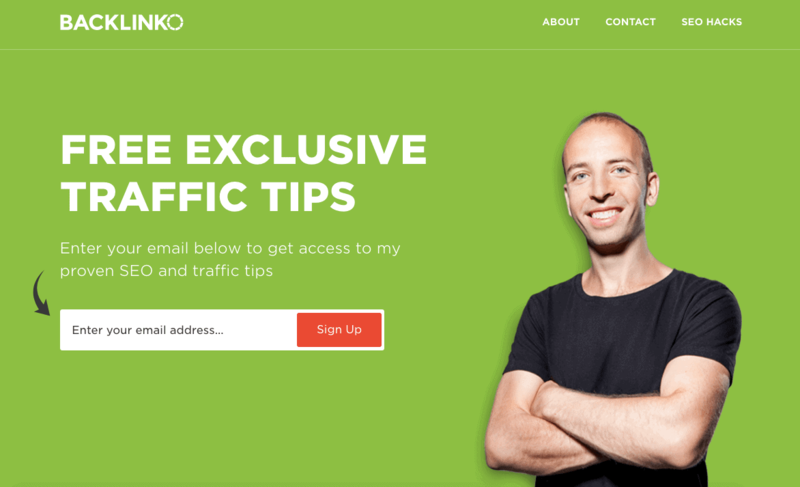 To increase conversions, instead of sending traffic to your home page, create a landing page that you can send traffic to. 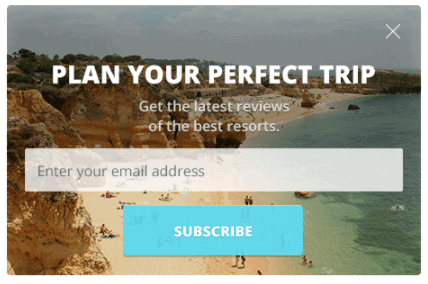 The sole purpose of this landing page should be to convince visitors to provide their email address. There should be no other option on the page. You can choose from any of these landing page builders to create a professionally-designed landing page within minutes. I prefer using Instapage or Landingi to create landing pages for my blog and my clients’ websites. Once you have your content upgrade ready, it’s time to invest in setting up the right opt-in forms at strategic places on your website. 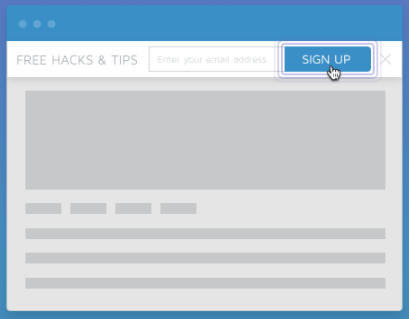 Don’t just rely on a signup widget in the sidebar. Instead, invest in a good list-building software that allows you create email forms such as smart bars, scroll boxes, welcome mats, and more. Popups created with OptinMonster’s exit-intent technology or Sumo’s Smart Mode technology are triggered at the precise moment users are about to leave your website. According to OptinMonster, exit-intent popups can help you convert an additional 2-4% of your visitors into email subscribers. You can create such forms using GetSiteControl as well. To use this feature, create a widget and then head to ‘Behavior’ and select ‘when the user is leaving the website’ as a condition. Smart Bar sits beautifully at the top of your website, reminding your visitors to subscribe to your email list. It’s a non-intrusive way to alert your visitors of the latest content upgrade on your site. Scroll Box is a popup that is triggered when a visitor scrolls down the page. It’s a polite way of asking your visitors for their email address just as they are about to finishing reading your blog post. All 3 opt-in tools mentioned here allow you to set a percentage of how far down a visitor has to scroll before viewing the popup. You can’t allow your email list to decay. Use these 5 strategies to add fresh contacts to your list in a quick and efficient manner. 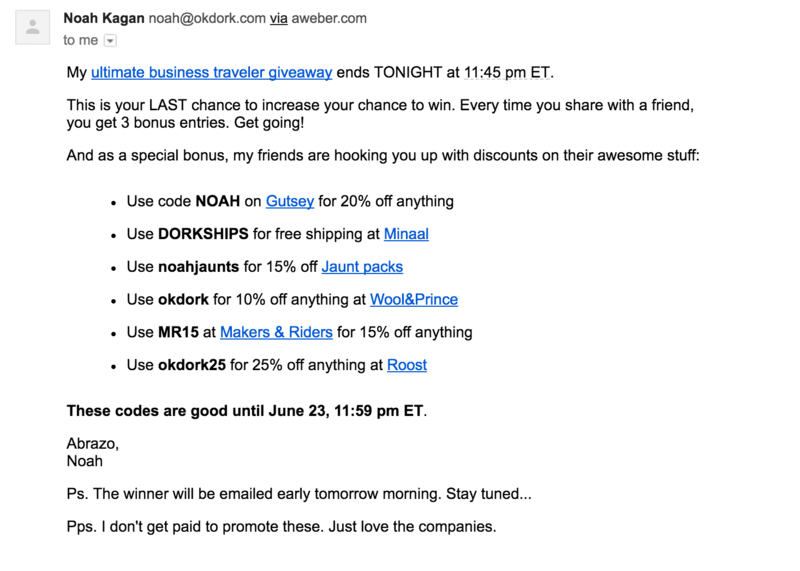 Have you used any of these strategies before to grow your email list? What other strategies do you use to get more email subscribers to your blog? Please share your thoughts in the comments section. 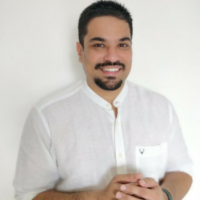 Sandeep: Thanks for listing BizSugar as one of niche communities to submit material to! I will test out your test for my new newsletter on tea and self-publishing.